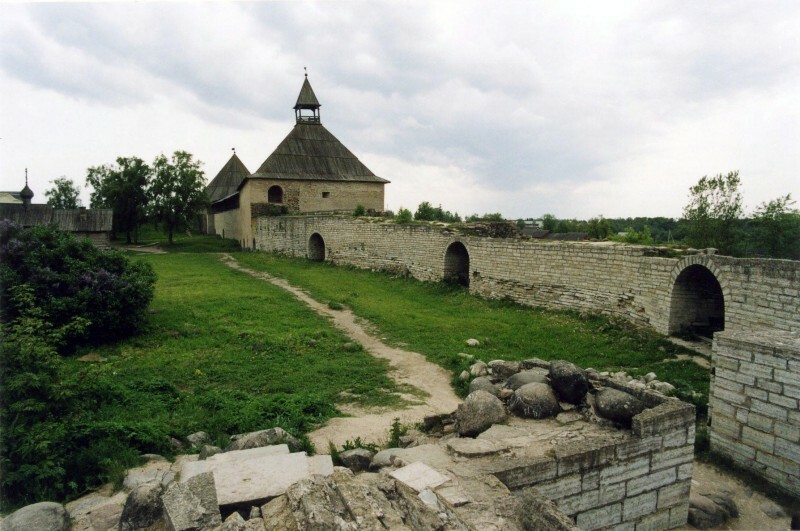 Staraya Ladoga on the Volkhov River, 15 kilometers from Lake Ladoga, perhaps, is the oldest city in Russia and could serve as a "trading gate" on the road from the Varangians to the Greeks. She first mentioned in chronicles in connection with calling on Russia Varangian Rurik and his brothers: "And the city of Ladoga srubisha about eating the oldest in the Ladoga Rurik." According to legend, there lies Oleg the Wise. Now, with Oleg's mound stunning views all around. The modern name of the city arose after the construction of the bypass channel Ladoga: by decree of Peter I had created a settlement at the confluence of the River Volkhov to Lake Ladoga, called Novaya Ladoga, and the former became the "old". The oldest masonry fort dates back to the beginning of the XII century, and possibly to earlier times. In 1164 the strengthening of already opposed the Swedish fleet of 55 ships. The present castle was built in XV century. In the church of St. George in the castle remained one of the oldest frescoes "St George and the Dragon» (XII century).. Near this temple is a wooden little church winter Demetrios (XVII century).. 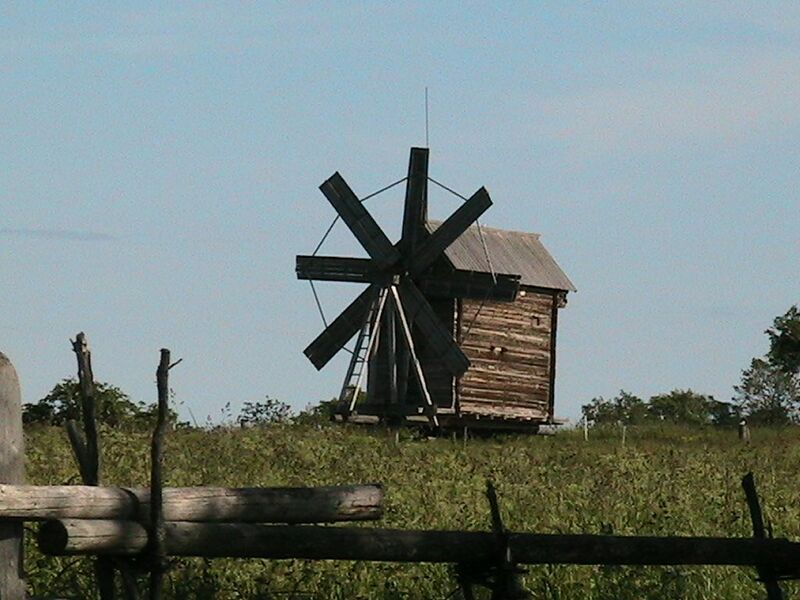 In the museum a wide collection of archaeological finds, covering the entire history of ancient Lake Ladoga. On the shores of picturesque views of the Volkhov can enjoy during the boat ride. On the way to Novgorod that runs along the river Volkhov Volkhov difficult to drive past the Power Plant - one of the oldest in Russia (1926). 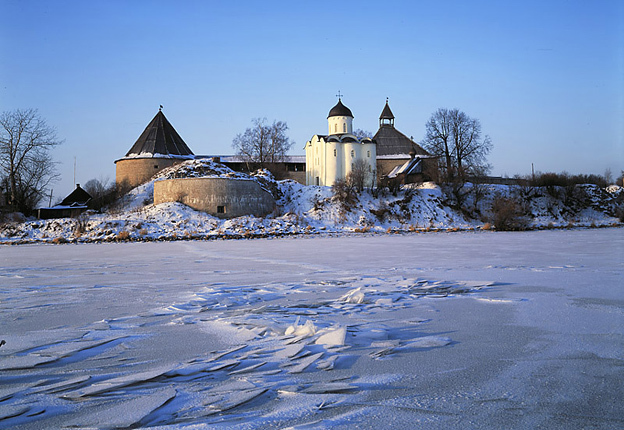 Shlisselburg previously Nut, was founded in 1323 by Novgorod on the island at the source of the Neva River from Lake Ladoga. In 1352 Novgorod put "hail stone nut" with walls built of boulders (remnants of the wall can be seen in the center of a modern fortress). At the turn of the XV-XVI centuries Nut transformed into a fortress classic, designed for perimeter defense with all known types of firearms: new walls were almost at the water, not allowing the army to line up for the assault. 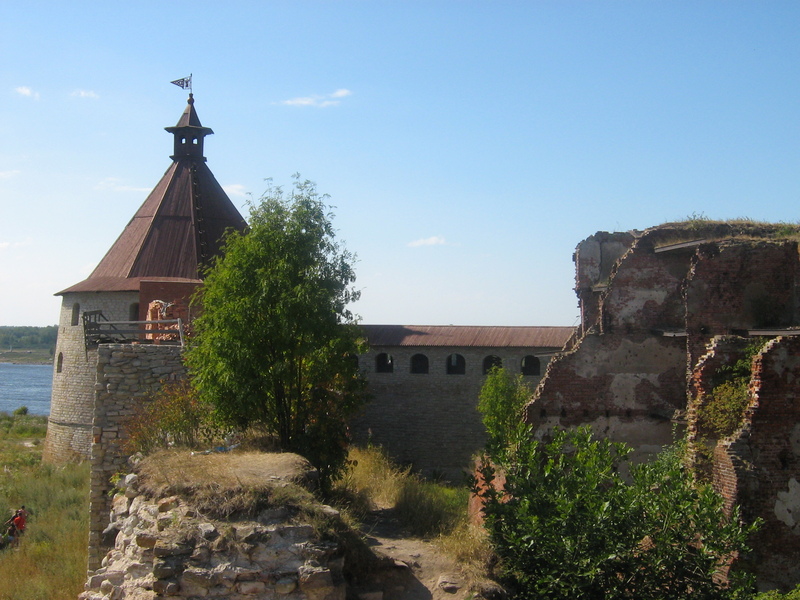 In the years 1617-1702 the fortress was renamed in Noteburg (NUT-town), belonged to the Swedes, while the army of Boris Sheremetev not captured them after a 10-day bombardment and a severe storm. Tsar Peter I participated in the battles as a scorer, captain and wrote from there: "exceedingly tough nut this was, however, thank God, happily gnawing." 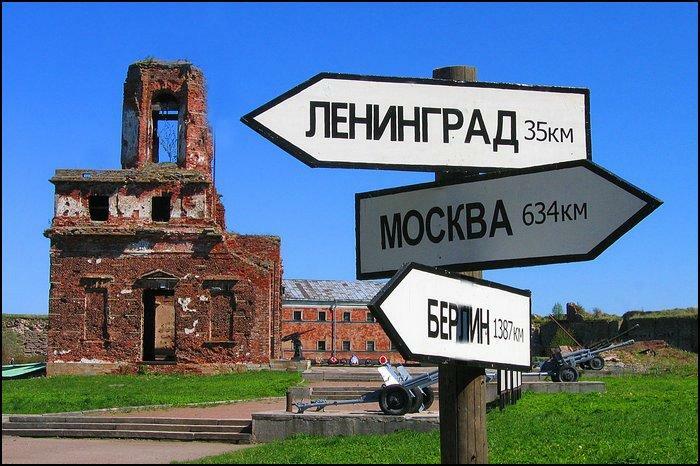 It was the first major success in the Russian Northern War, and the fortress was renamed Shlisselburg (key-city). 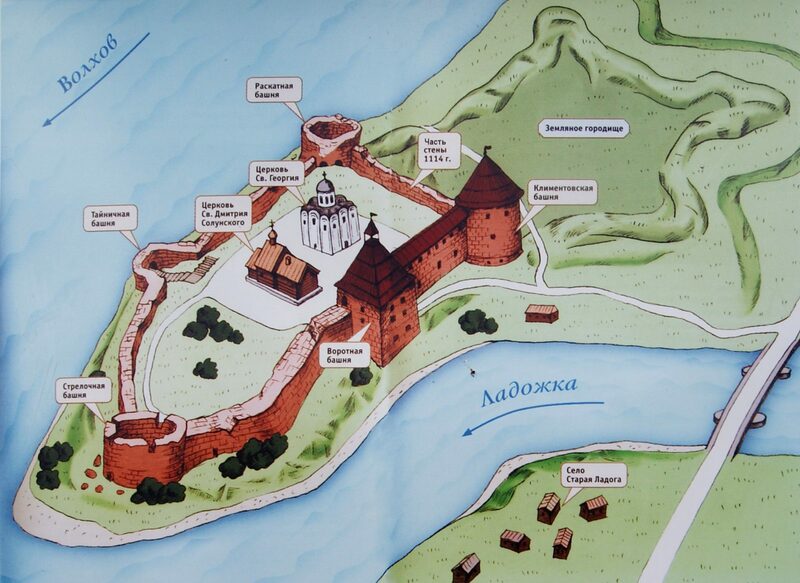 In XVIII-XIX centuries gained fame Shlisselburg "Russian Bastille": its walls were imprisoned members of the royal family (wife of Peter I Evdokia Lopukhin, legitimate king John VI Antonovich, the king's favorites, the dissenters, the Decembrists, the People, members of the Polish uprising). They were kept in the Secret House and the New Prison, where now there are museum exhibits devoted to prisoners. In the days of the Leningrad siege castle was once again at the forefront of the defense and was never taken by the Germans, covering a road of life. Despite the insularity of the fortress, to get there easily enough from the city Shlisselburg, from the granite embankment at the mouth of the channel time of Peter the Staraya Ladoga regularly go there boats. The castle held a very informative tour (also included in the admission fee). In the summer, while on the island, you can swim in the river Neva, to feel the full force of its flow.